FL3202C is DVI fiber extender device of high-definition video transmission using fiber optic, just need a single fiber will be able to transmit 1080p DVI signal , audio over long distance, it supports HDCP, EDID; This product is ideal for large-screen display, conferencing systems and home entertainment and so on. The device has the ability of anti-interference, to ensure the stability of the signal. Long-distance transmission of DVI-D, audio, via a single optical fiber. All-digital, uncompressed, high-definition optical fiber transmission. The sender supports DVI audio transmission and independent stereo transmission. The receiver DVI can take the audio output and a separate stereo output. 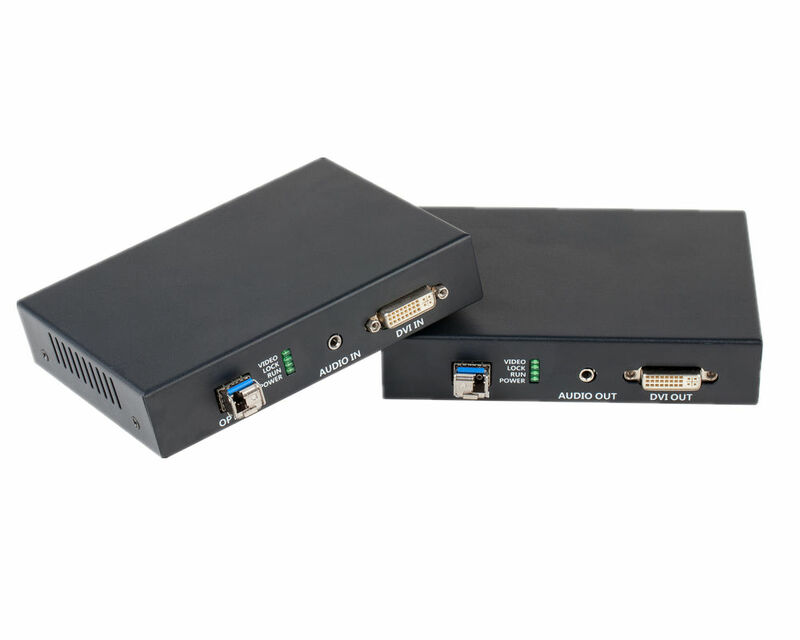 Supports 1080 and 720 resolution, single-mode fiber transmission up to 10km. Support for serial Unvarnished Transmission, baud rate can adapted by itself.